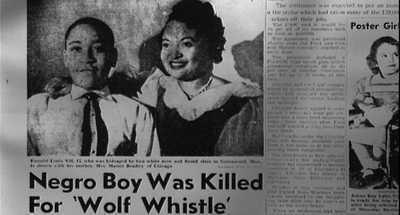 No one ever served prison time for the killing of Emmett Till, a fourteen year old black boy from Chicago. But his murder, and the trial and acquittal of his killers, sent a powerful message, and his tragic murder spurred the Civil Rights Movement. His mother, Mamie Till Mobley, explains, "When people saw what happened to my son, men stood up who had never stood up before. People became vocal who had never vocalized before." The photos of Emmett Till's mutilated body stunned the nation. 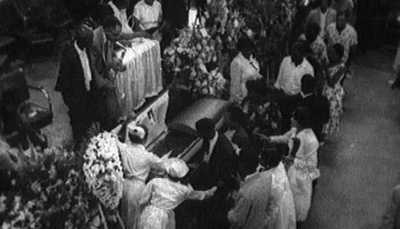 Mamie Till's decision to hold an open-casket funeral would make her son's death a touchstone for a generation. 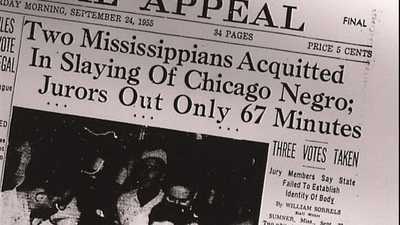 After a five-day trial and an hour of deliberation, Emmett Till's killers are acquitted.